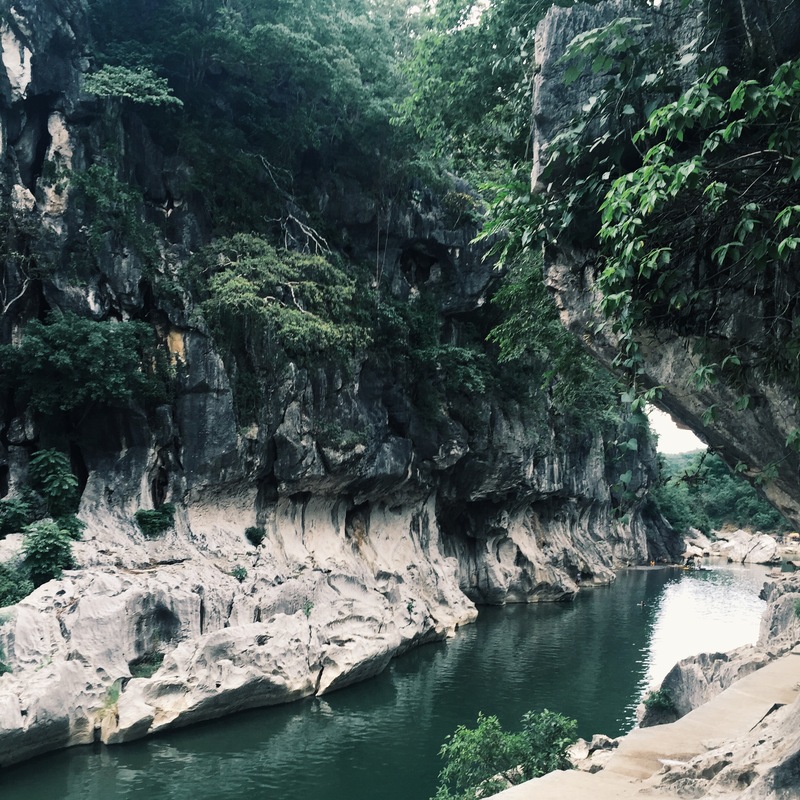 Minalungao National park is a 2,018-hectare protected landscape located in General Tinio, Nueva Ecija. The local government considers it as one of the few remaining natural environments in Central Luzon. To preserve its natural beauty and to protect it from exploitation, it was established as a national park in 1967. 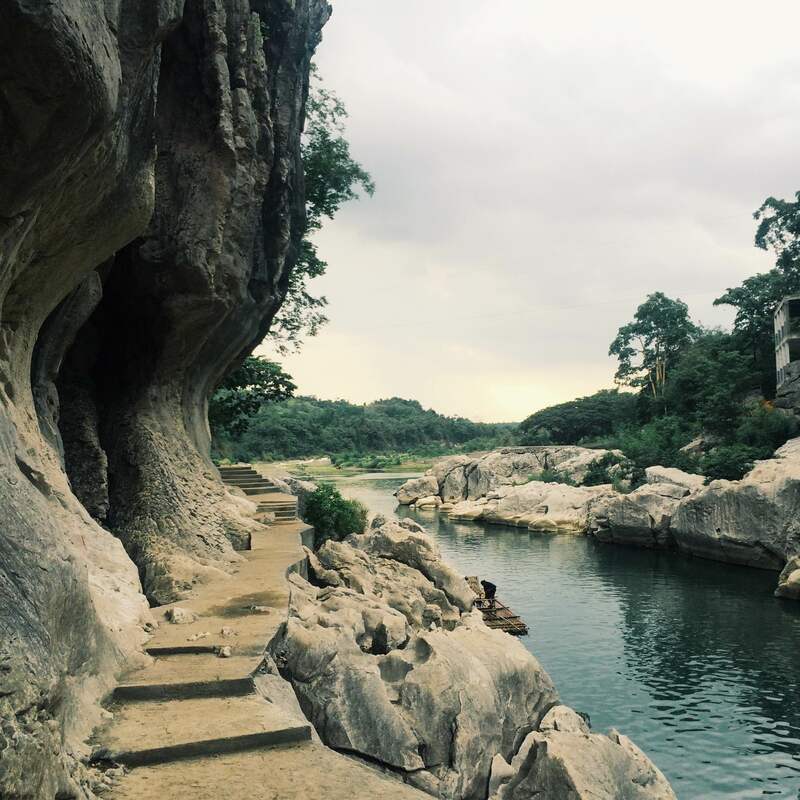 It is home to the scenic Penaranda River bordered by towering limestone walls on both sides. Head north to NLEX. Exit at Sta. Rita. Head right and follow Candaba – San Miguel Road passing by towns of Candaba and San Miguel. Continue until you reach Bucana, Gapan. There are multiple roads heading to Minalungao National Park from Gapan. It’s best to ask a local what’s the best route upon reaching Gapan. The road to the park is rough. It’s passable by sedans but better if you bring an SUV. Travel time: 4-5 hours. Take a Cabanatuan bound-bus. Go down at Gapan City, Nueva Ecija. 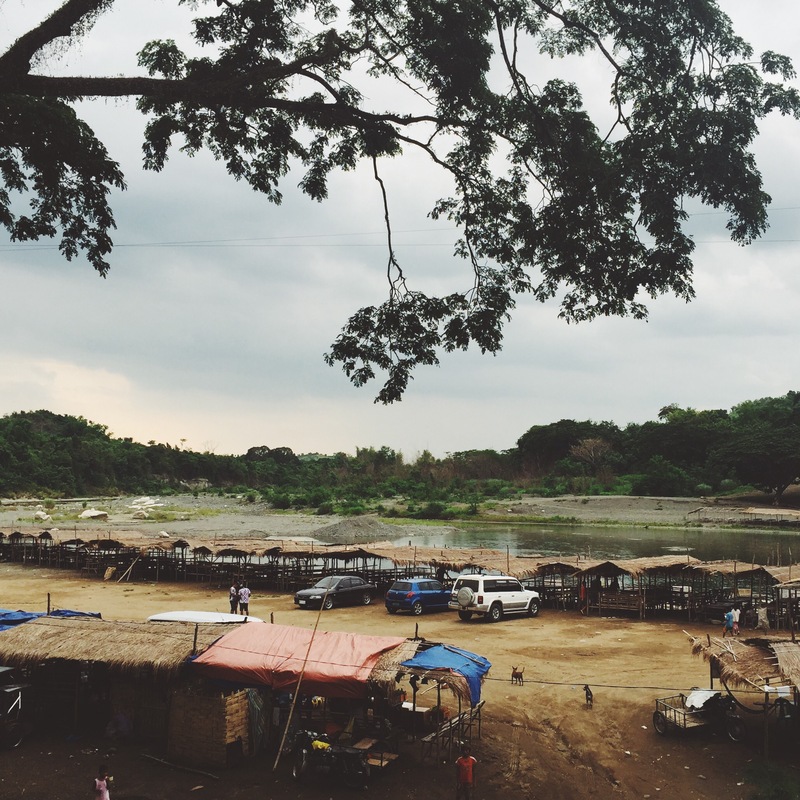 From there, hire a tricycle going to Minalungao National Park. Ask your driver to bring you to General Tinio then hire another trike to the national park. Travel time: 1.5 hours. Daytrip is possible for Minalungao National Park. You can leave Manila early in the morning then be back easily by dinner. The park is open for overnight campers as well. Ideally, one day is enough. 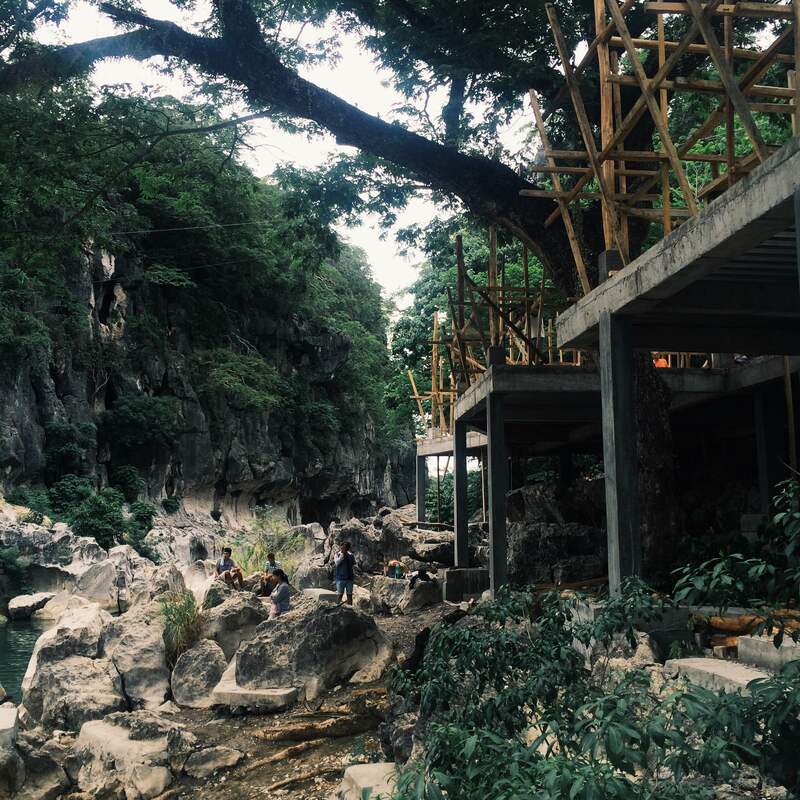 The highlight really is the 16-meter high limestone walls with Penaranda River flowing in between. You can swim there. There’s also a cliff-jumping area in the park. The local government has also made facilities for picnics, raft-riding and zip-line. 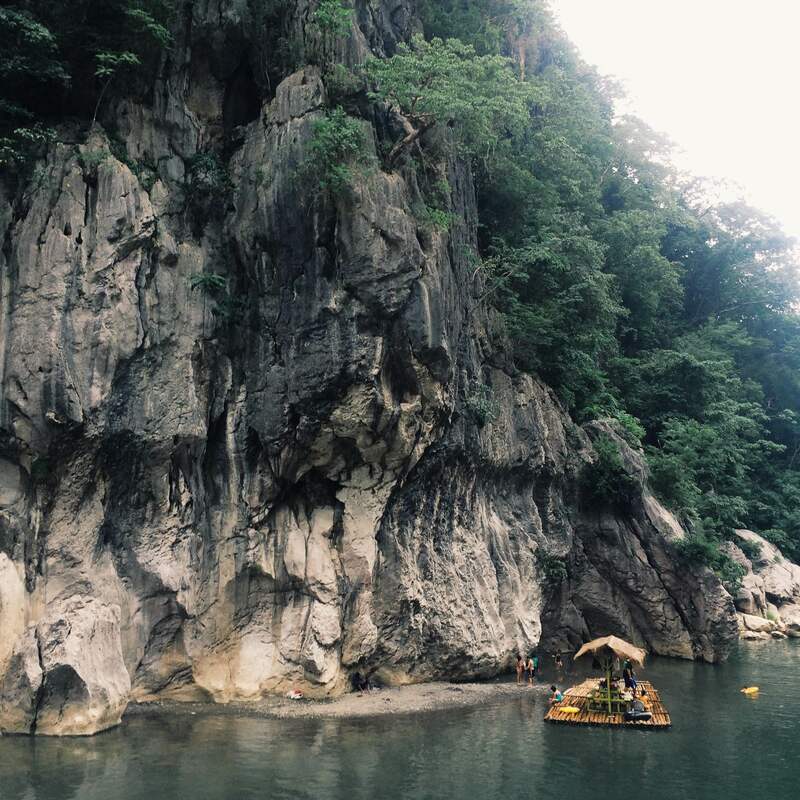 Upon arriving at the park, you can either ride a raft or hike to see the limestone walls. If you’re on a budget, just walk, since it will just take you less than three minutes to get there. Another way is through a raft that will pass by the river. If you’re a big group there are huge rafts for rent equipped with tables. You can have lunch on the raft. There are big rafts for rent equipped with tables. Cliff diving is possible. Just ask your guide where the cliff-diving spot is. It’s easily noticeable though. Take note that guides are not required in the park; but if you need one, especially if you’re planning to explore the cave, ask a local kid to guide you and just tip them. The local government really has done a great job in promoting tourism in the area. They established eating areas, stores and proper amenities for the tourists. What’s the big turn-off and why should you visit now? 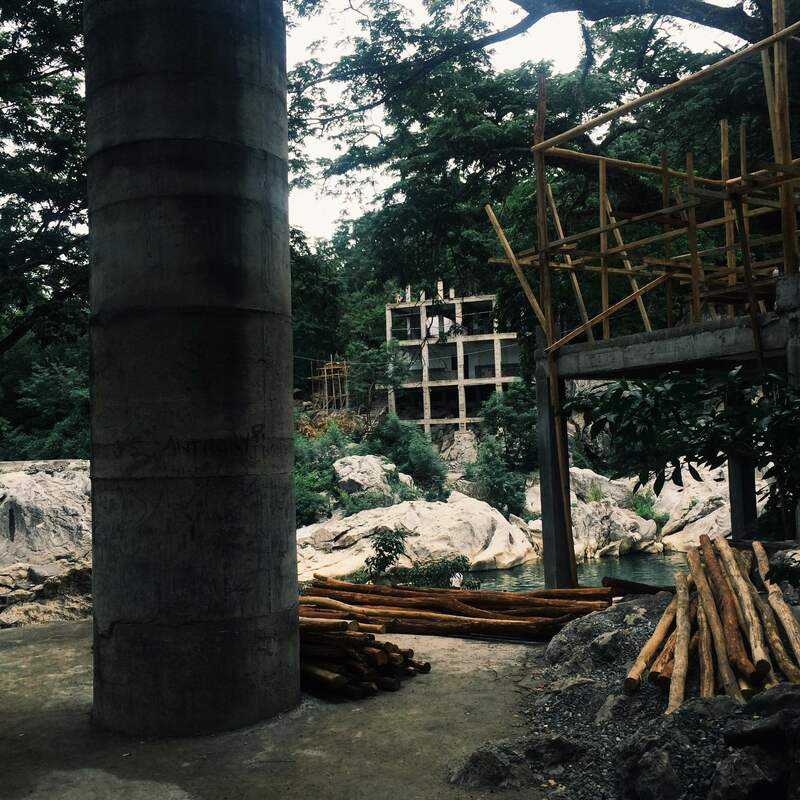 They are constructing hotels right smack at the entrance of Penaranda River leading to the famed beautifully preserved limestone walls. It’s a downright eye-sore; a development obviously in the wrong. The highlight of the park and the overall scenery was ruined. A decision clearly motivated by money at nature’s expense. 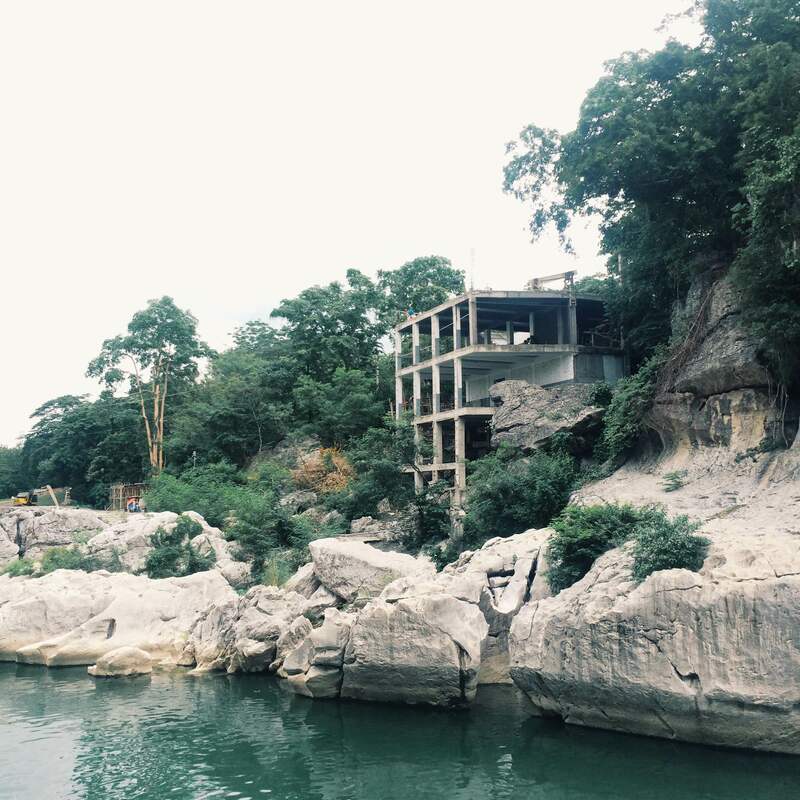 We just don’t see the point of building a hotel in Minalungao National Park. If the local government is really pushing for the park to be an ecotourism destination, they should have created an established camping area instead; a cheaper yet more sustainable option that will preserve the park’s natural beauty. Or if there’s truly a need for a hotel, at least they should’ve placed it far enough not to mess up the picturesque view. We forgot to ask when the project will be completed but as seen from our last visit, construction is still a go. Transportation: P150-P200 bus fare to Gapan, Nueva Ecija. Fees: P20 entrance fee per person. P20 entrance fee per tricycle/car. Activities: P800-P1500 big raft rentals. P250 small raft. We recommend Minalungao National park as a side-trip only. Visit during weekdays. It can get really crowded during weekends especially on Sundays. Our local kid guide mentioned that it’s a go-to-place for families in Central Luzon. Avoid visiting if there’s a typhoon. They do not recommend visiting during these times as the river’s water level is unpredictable. The road leading to the park is rough and can get really muddy when it rains. It’s advisable to bring an SUV if you’re a big group. The road is still passable by sedans. Leave early in the morning to avoid the traffic build-up at Candaba, San Miguel and Gapan.